I want you to cast your mind back to 2013. I've just started blogging professionally. Obama is president, Snowden hasn't yet told us anything we didn't want to hear, and social media works for your business without a whole lot of work. 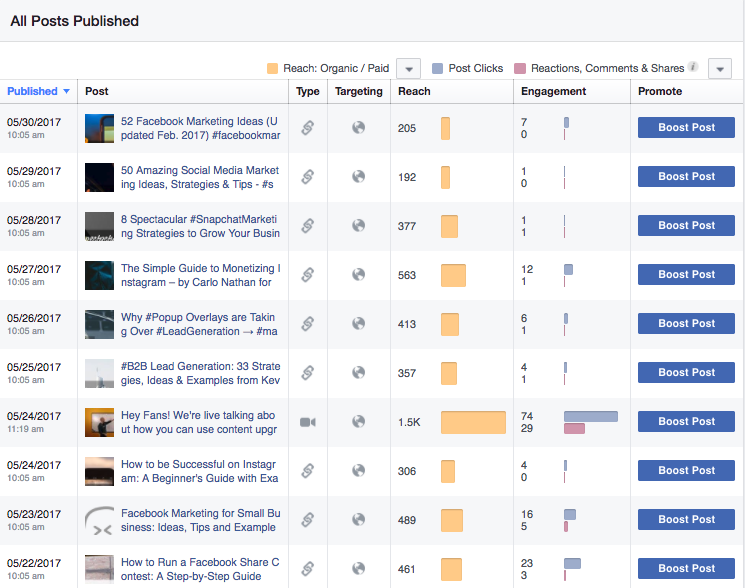 Facebook's algorithm hadn't yet put a stranglehold on organic reach. Facebook ads had yet to dominate our News Feeds and I had substantially more hair on my head. Birds sang and the sun shone. 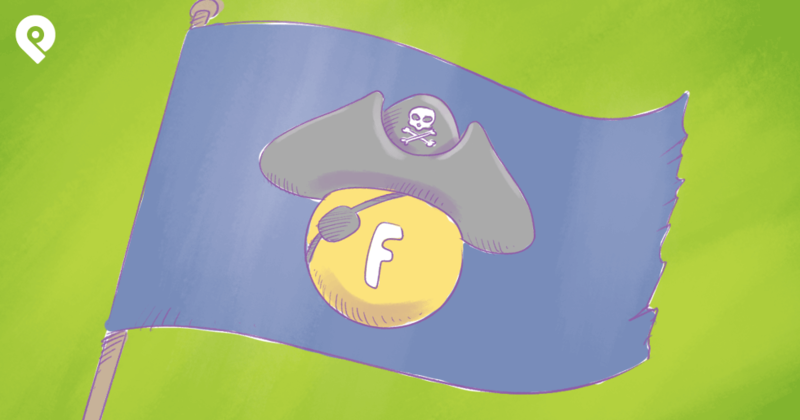 This article will dive into the changes we've seen on Facebook in the past few years, and what opportunities remain for your business to use the platform to grow. Want to create a thriving business? Here's how to turn your Facebook Page into a successful business. 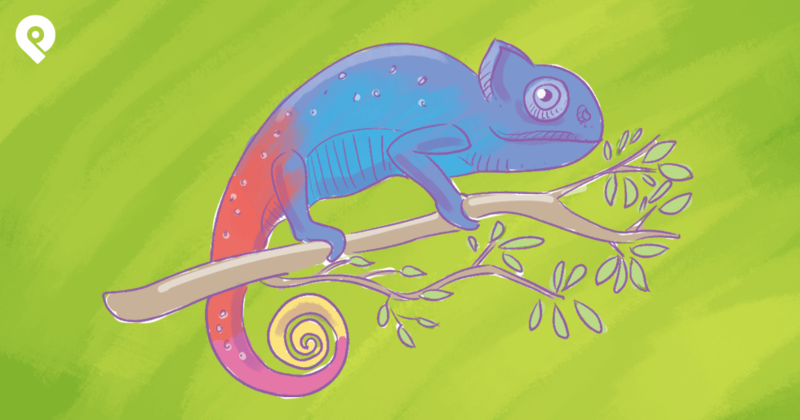 Organic reach used to be 15-20% for most Facebook Pages. However, the past few years have seen a significant drop. Of course, this is no surprise to any social media marketer who's paying any attention whatsoever. 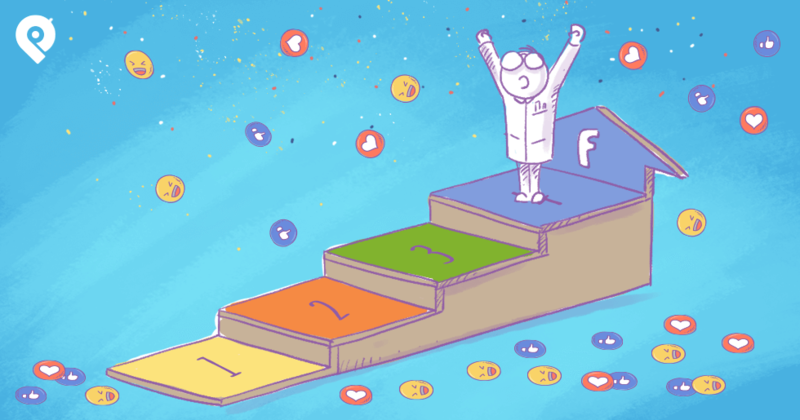 To succeed on Facebook in 2018, you'll need to do all these and more. Facebook wants to compete with Snapchat, YouTube Live, Periscope and all the other live video platforms. To encourage people to use the platform, therefore, they reward Facebook live videos over any other content type. We'd heard rumors about this in early 2017, and tested it out for ourselves in May. Here's the performance of our Facebook posts between the 22nd and 30th of May, 2017. Introduce the video topic, and yourself, multiple times and for at least a minute, to keep saying hello to people as they come in. Keep your video visually dynamic by moving around. Talk for more than 10 minutes, as you'll get more and more as the video gets rolling. If you introduce everything awesome in the beginning then the people who come later won't know what's happening. If you mess up, acknowledge it and keep going. Embrace the "live!" Facebook wants to compete with YouTube, so every video which is uploaded directly to their platform will see a "Reach bump" over a video uploaded via YouTube. Back in March, social media analytics platform Quintly analyzed 6.2 million posts by 167,000 Facebook profiles. The results were about what everyone expected. Facebook native videos did perform better on average - to the tune of 478% more shares. And that's awesome. 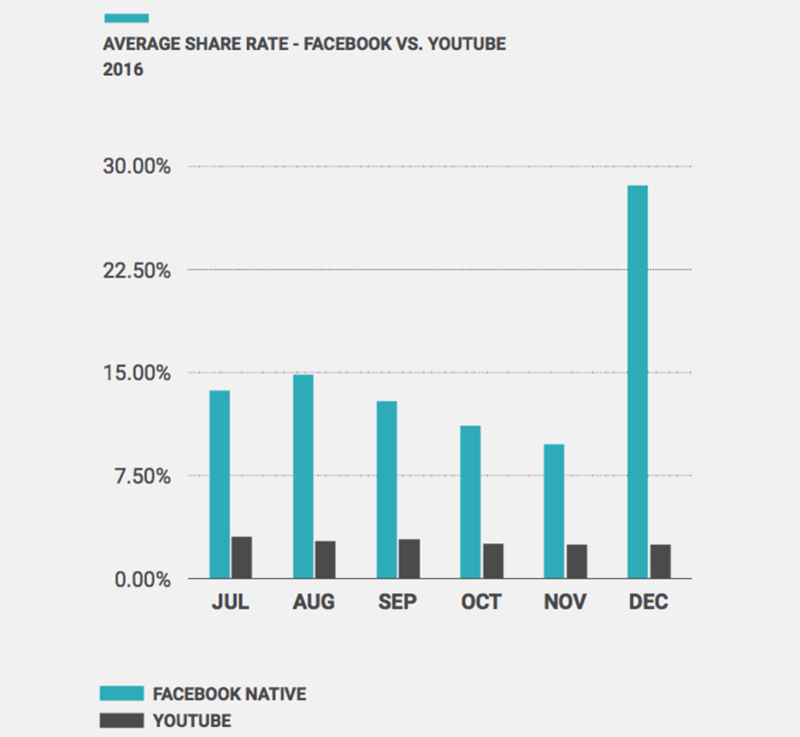 Facebook native videos, suddenly, were receiving a 1055.41% higher average share rate than Youtube videos. The algorithm was changed. Do You Know the Value of a Fan? In the good old days (before any of us really knew what we were doing), a businesses only social media goal was "More Fans! More Fans! More Fans!" As a social media promotion company, this was fine with us. Our platform was built around incentivizing social media users to become a Fan. But when organic reach plummeted and businesses started actually measuring the bottom-dollar value of their Fans, the whole industry had to pivot. Let's say you have 10,000 Fans. According to most sources I believe, you're probably getting about 6.5% organic reach with every post. So 650 people. Now, you're a smart social media marketer, so only a few of your Posts are promotional. But let's say that this one is, and your post (which is seen by 650 Fans) has a click-through rate of 5%, so 33 people. Now, let's say that 50% of those are already customers, and you're left with 16. You send people to a product page with a conversion rate of 5% (industry average), and, unfortunately, we're already below 1. The chance of turning a single one of your 10,000 Fans into a customer through Facebook alone is less than .01%. 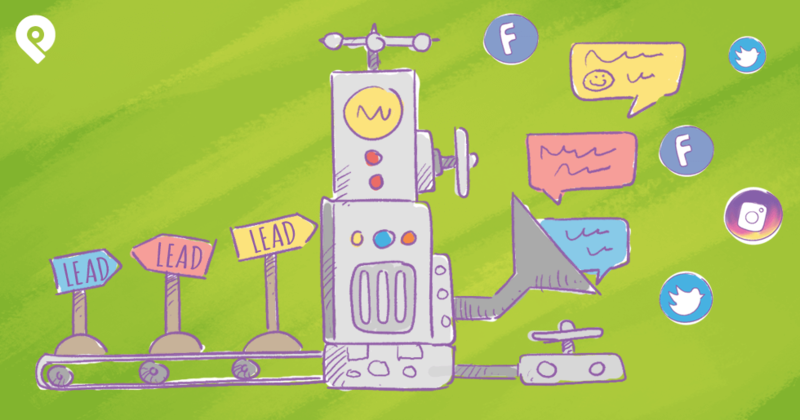 Turn your Fans into leads. 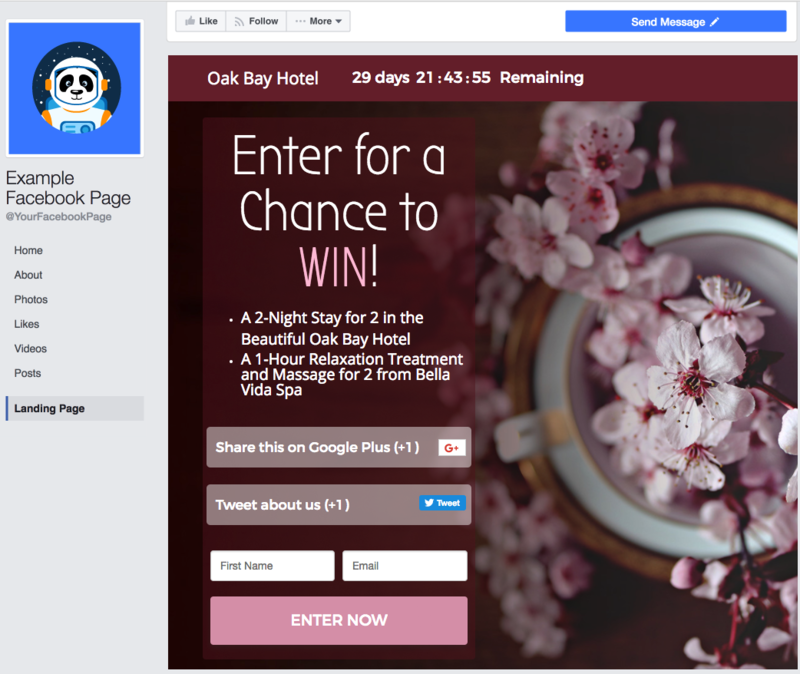 Use a Facebook contest to incentivize Fans to give you their email address. Segment your leads based on the product they were interested in winning. Use a "bonus entry" feature (or referral URL) to prompt them to share with their networks to get additional chances to win. Announce your grand prize winner, and provide all entrants with a "Contest-specific" coupon code which entitles them to 10% off, or free shipping, or credit. Make your coupon code available for a limited time. Send a reminder email 48 hours before the coupon expires. And then another 2 hours before. When you next run a sale or promotion on the product your contest entrants wanted to win, be sure to send them an email notification. One of the biggest Facebook changes is the so-called "Pay to Play" structure which aggravates so many social media marketers. So, do you have to pay? 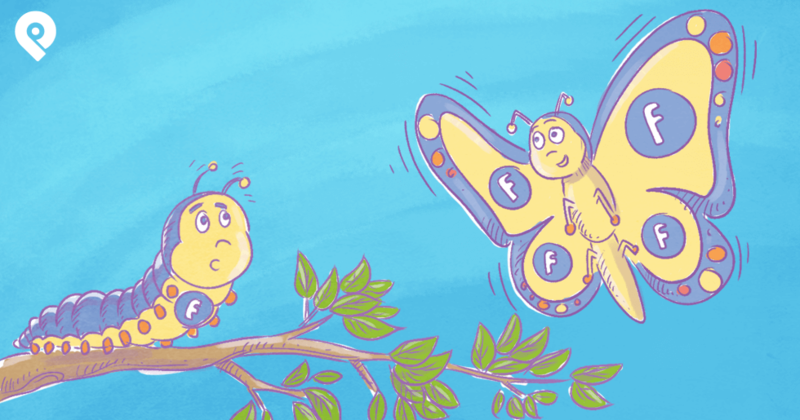 On Facebook, it's not so much that you have to, but that that Facebook Ads actually offer a better option for business growth than what organic reach used to. I'd like every social media marketer to stop thinking of Facebook Ads as an alternative to organic reach. Boosting posts is all well and good, but why are you paying to target people who already know and Like you when you could be targeting new prospective customers? 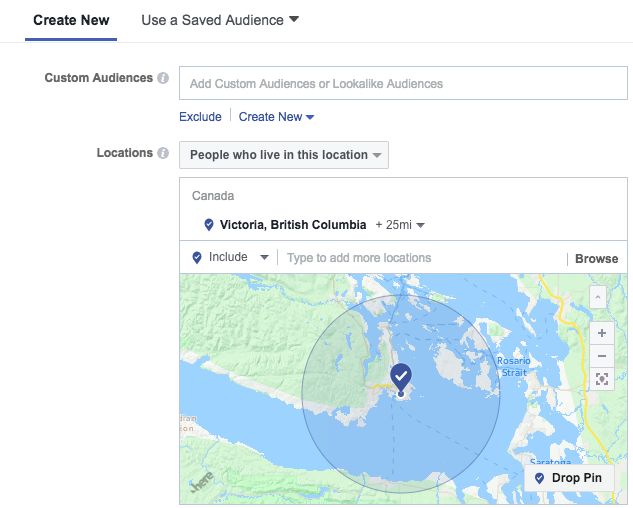 Start thinking of Facebook Ads as an alternative to Google Ads, and (if you do) you'll soon be as excited about them as I am. Facebook Ads offer unprecedented audience targeting and a low cost per click, with an incredibly intuitive platform. Let's say you're a photographer in Victoria, Canada, and you're running a Fall Family Photoshoot Promotion. 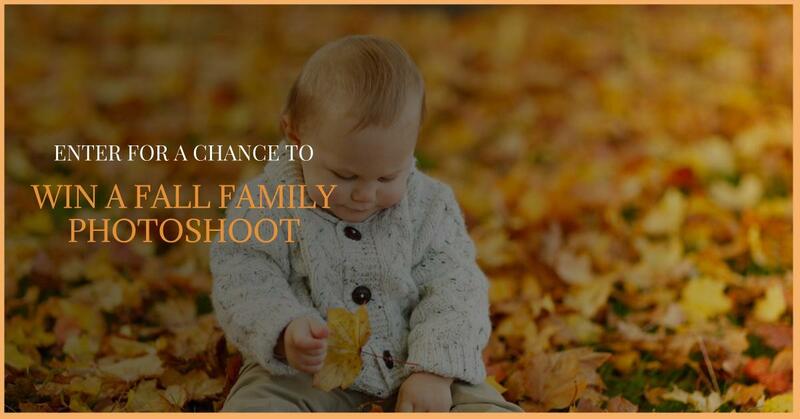 You're going to give away a photoshoot of the whole family, valued at $450. You create your Facebook Business Manager account and head into Facebook's ad manager. Google Drawing (and Canva) actually make creating a Facebook Ad image super simple. To get a Facebook Ad image template you can copy and edit, click here. Step 6: Hit publish and you're good to go! Can You Use Facebook For More than Awareness? Many helpdesk tools now have Facebook integration, meaning your customer support team can respond to customer service-related Facebook messages from within the same dashboard they use to respond to support chats and emails. Facebook has become, truly, an extension of your website. It's where you post new feature or product releases. It's where you showcase your brand personality, introduce new employees, share your Friday beer meeting, and, now, respond to questions from customers and prospective customers alike. Customer service on Facebook is just one of the many reasons I think that businesses who have left Facebook have made a mistake. Yes, the drop in organic reach was frustrating. And yes, the "pay to play" platform may be intimidating. But one thing hasn't changed with Facebook since 2012: It's where your customers and prospective customers are, more than anywhere else in the world. Another way to tap into the Facebook audience is to ask them for feedback, thoughts, and recommendations. 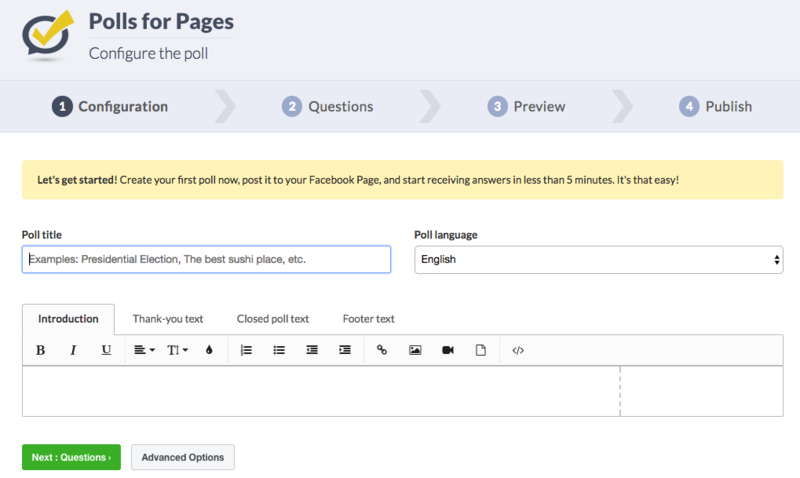 In an effort to promote the use of some of their lesser-known features, Facebook tends to reward Polls (and quizzes) in their newsfeed algorithm. While not all of your Fans will end up seeing it, a higher proportion will than most other post types, and definitely enough for you to get some valuable insight into your customers and fanbase. As of June, 2017, Facebook has more than 2 billion users. But it's been a long road. Some of us will remember back in 2005, when we had to have a university email address to create an account. I remember when ads first started appearing on the newsfeed, and when the Like button was introduced. And I remember when I first started writing on Facebook marketing - and how magical it all seemed. So no, Facebook isn't the same platform it was in 2013, but it's still a platform that’s very capable of growing your business online. Have you used Facebook in a creative or new way in the past year or so? Are you frustrated by something you're seeing in Facebook marketing, or have a question about ads? Reach out in the comment section below!